TOPAZ HORIZON: I'm now a Beauty BDJ Box Beauty Minister! I'm now a Beauty BDJ Box Beauty Minister! 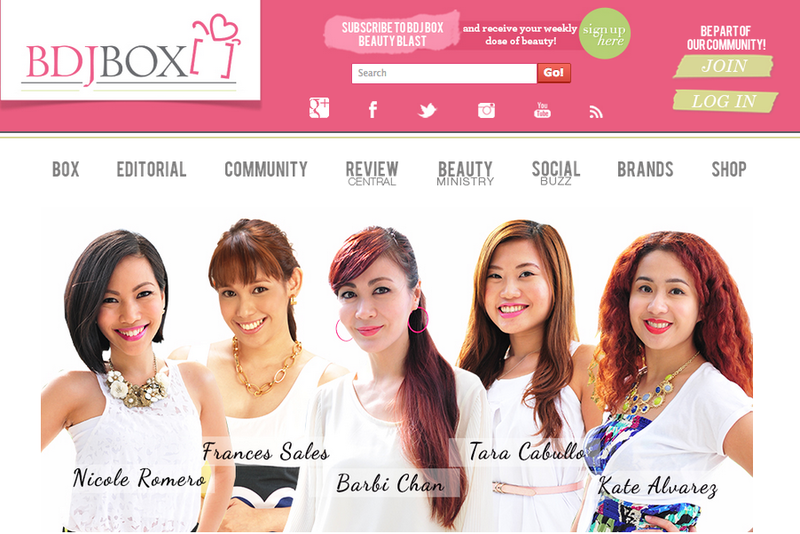 I want to share with you my new gig: I'm now part of BDJ Box's Beauty Ministry! BDJ Box is a beauty product subscription service brought to you by the makers of Belle de Jour Power Planner. They have an online magazine managed by a roster of beauty experts and enthusiasts and I was asked to join them this month. Check out my first article: My Favorite BDJ Box Finds. I'm now a Minister. Very important job title, right? Heehee. I'm the token mommy in the group. Nicole's the beauty editor, Barbi is the top makeup artist, Tara is the corporate working woman, Kate is the artist and traveler. I'm the mommy! Yes, because moms need to be gorgeous, too, and I am here to impart sage beauty advice to moms everywhere! Check out all our articles and videos on our favorite beauty finds, product reviews, tutorials, tips and tricks, and everything beauty in BDJ Box! Click here! You can also meet all five of us (yes, like in person!) 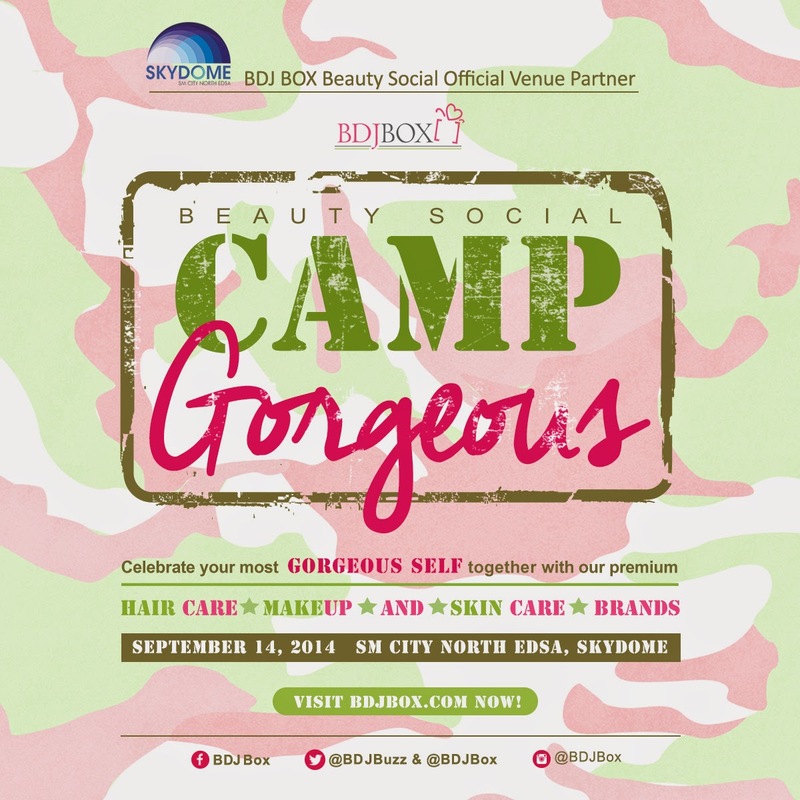 this Sunday, Sept. 14, at Sky Dome, SM City North Edsa, at the BDJ Box Beauty Social: Camp Gorgeous! The event is an all-afternoon affair with booths from fabulous beauty brands. There will also be interesting talks from the beauty industry's top professionals so that we can all learn a thing or two (or more!) on how to get gorgeous. While the event is open to everyone, only those who are registered can participate in the talks, get a loot bag, and have their photos taken. And because I love you, I'm giving away VIP tickets!!! 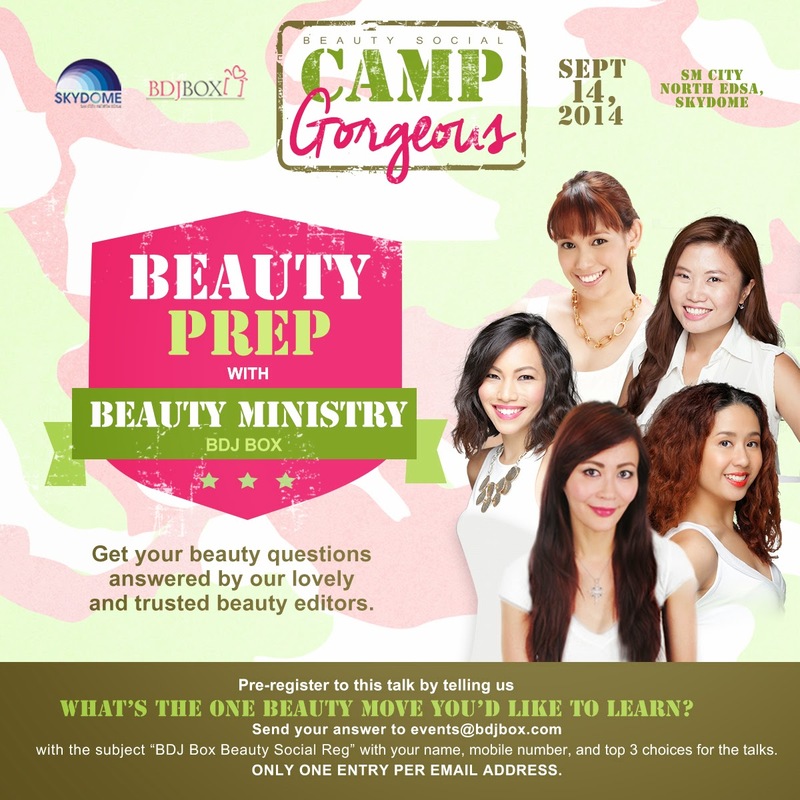 Three (3) lucky readers will get two (2) VIP tickets each to the Camp Gorgeous event. VIP means you get to attend all the talks and get the yummy loot bag, too! 1. Like our Facebook pages: BDJ Box and Topaz Horizon. 2. Share this blog post on YOUR Facebook wall. Make sure to set it to public so I can see! 3. Tag a friend you want to bring to the BDJ Box Social. Tag Topaz Horizon, too! 4. Deadline is tomorrow, on September 9, 12 noon!!! Join now! 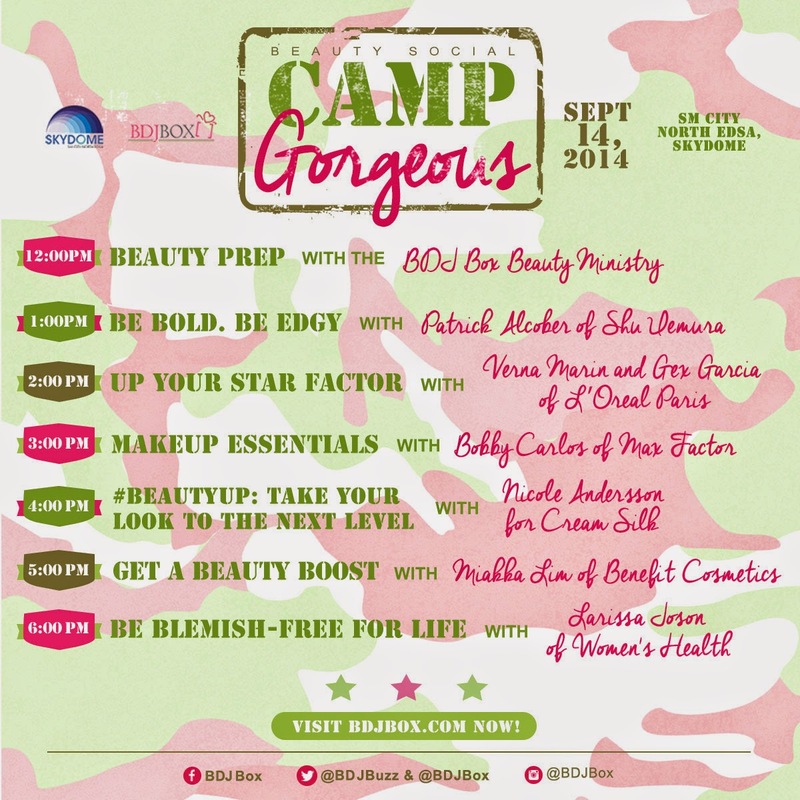 Enjoy an afternoon of beauty with me and the BDJ Box Beauty Ministry at Camp Gorgeous this Sunday! See you! Done! Hope me and my sister get to go there. Because her wedding is in a month and this event is perfect for her wedding beauty prep. :) Cheers! https://www.facebook.com/lorienocasa/posts/354554594708850 here's my entry Ms Frances.